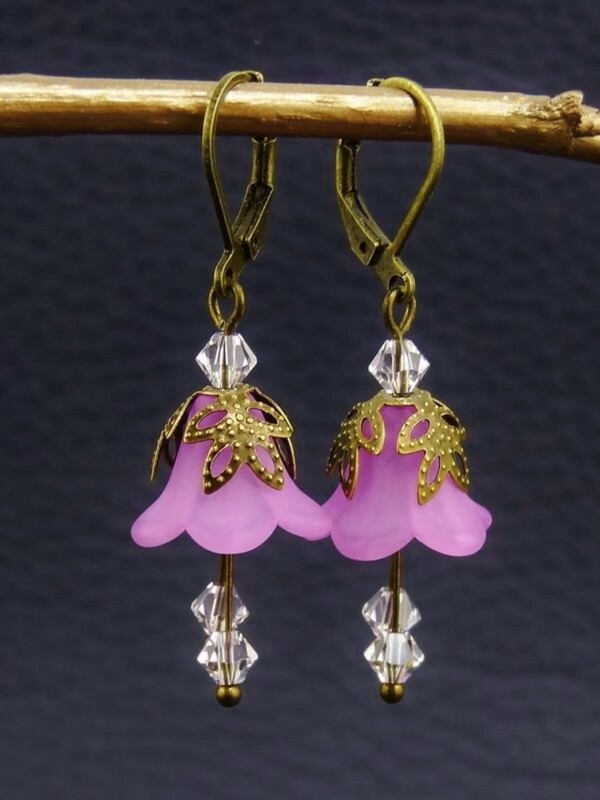 Gayle Dowell is a jewelry and watercolor artist. She currently teaches art to a homeschool co-op highschool class. New ideas seem to come in strange ways. I've been working in partnership with a glass artist friend on some pieces of my metal clay work. We've been running some glass / metal clay experiments. I've learned a few things about glass from her as she does fused glass art. I've been moving away from my beaded jewelry to other levels of jewelry making, specifically metalsmithing and metal clay. 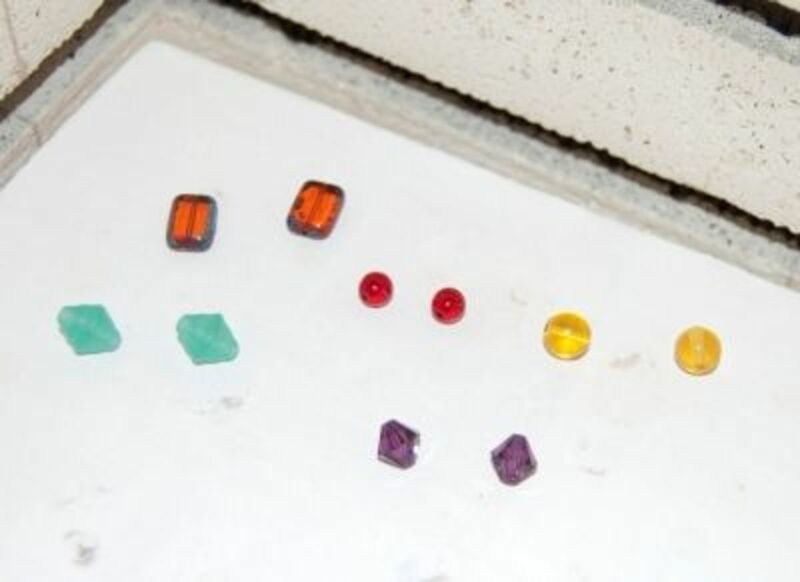 I've been drooling over some gemstone cabochons from a few stone cutters and would love to do some more bezel setting. (I've done two). But I'm not yet comfortable in setting these stones quite yet. 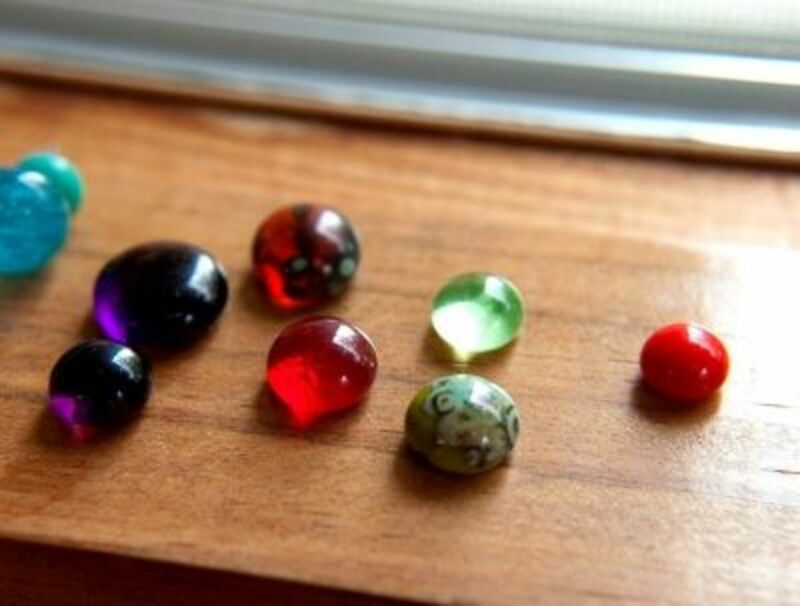 So I get this idea to recycle my glass beads and make them into glass cabochons by putting them in my kiln. I consult my friend as to the desired firing schedule and after the first batch of beads, I was hooked. I've still not bezel set these cabochons, but I've been having fun making them into earrings. 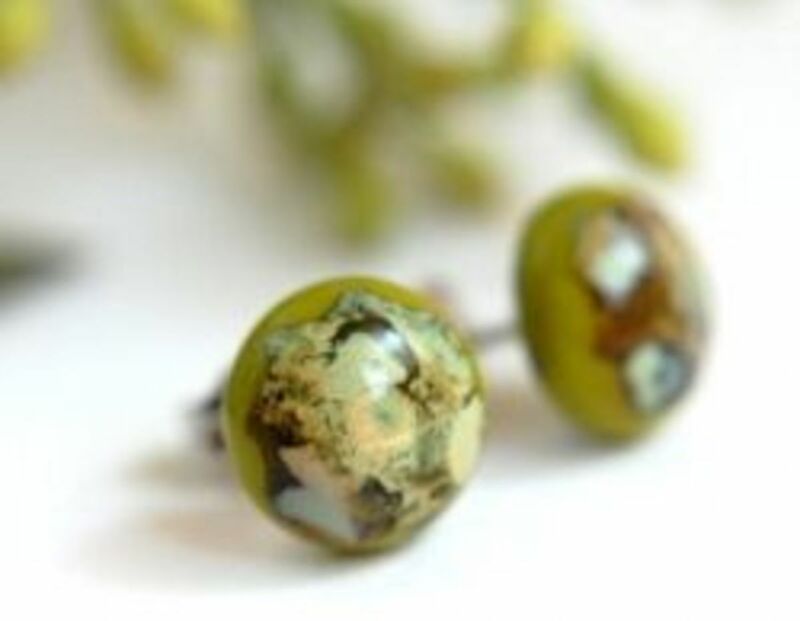 The following information is what I did to recycle my glass beads into glass cabochons. 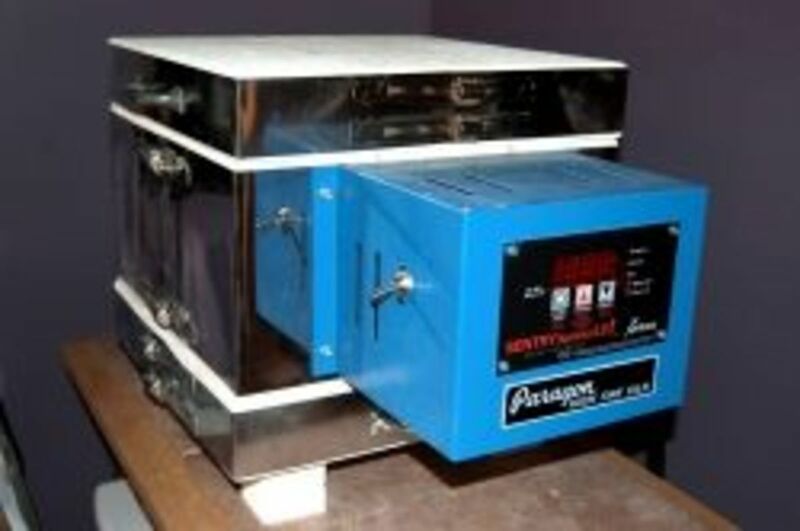 I have a Paragon Caldera digital kiln that I use for my metal clay. I chose this kiln because it is a great size for small items such as jewelry, it is programmable, and can be used for my metal clay as well as glass and ceramics. Very versatile for the price. It is a top loading brick kiln. For about $40 more, I can get a lid with a high temperature window, or if I want to anneal glass beads I can add on a bead annealing collar, or an enameling collar if I want to get into enameling. A very versatile kiln that grows along with your art. Clicking the following link will take you to the website, Clay-King.com, where I purchased my kiln. First of all, I coated my kiln shelf with kiln wash. I also kiln washed the bottom of my kiln so that if any glass melted off the shelf, the bottom of the kiln would be protected. Kiln wash keeps the glass from sticking to the surface of the kiln shelf. Kiln wash can damage heating elements and care should be taken that no kiln powder or kiln wash comes in contact with the heating elements. I then set the kiln shelf on top of kiln shelf supports to elevate the shelf and allow air to circulate around the shelf. 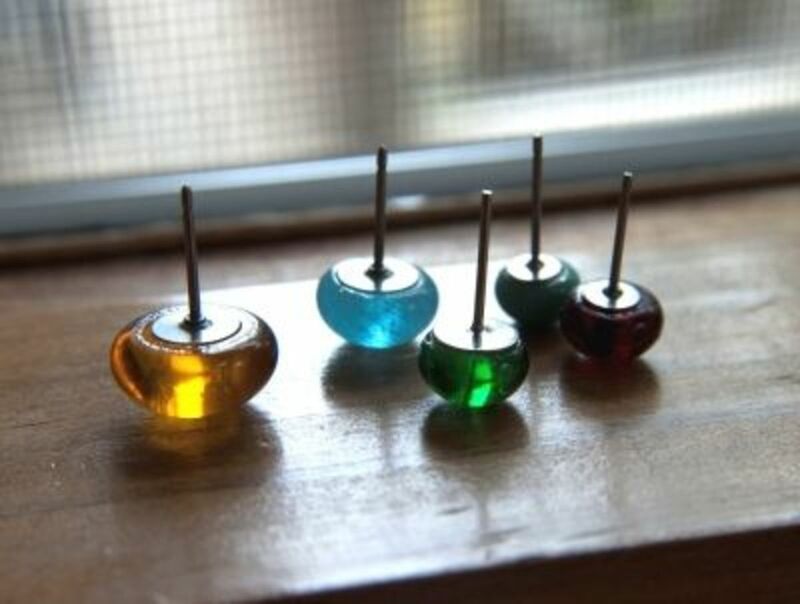 I then put my assortment of glass beads on the shelf about 1/2" - 1" apart depending on the size of the beads. The larger the bead, the more space I allowed between beads. It is best to make sure that your beads are very clean before firing. I use alcohol to clean finger prints or any other film that may be on the glass beads. This helps create a very clean surface after firing that is clear and shiny. All kilns are different and not all schedules will work for every kiln. It is best to take notes when you fire so that you can adjust the schedule when necessary to get the effects desired. Be aware that there are different types of glass with different rates of expansion, or coefficient of expansion (COE). If mixing different glasses that have different COEs, the result can be cracked glass when cooling as the glasses cool at different rates. It is best not to mix glass together unless the COE is known for each piece. As for beads, it is best not to mix them and melt together. With small items such as beads, the following firing schedule will be sufficient. Note that degrees are in Fahrenheit. The whole firing process and cooling takes about 12 hours to complete. If the bead cabochons are not completely round, fire again. The more you fire the glass the rounder the cabochons will become. Some beads didn't work as well as others. The beauty of using beads is to see the surprises that happens after firing. 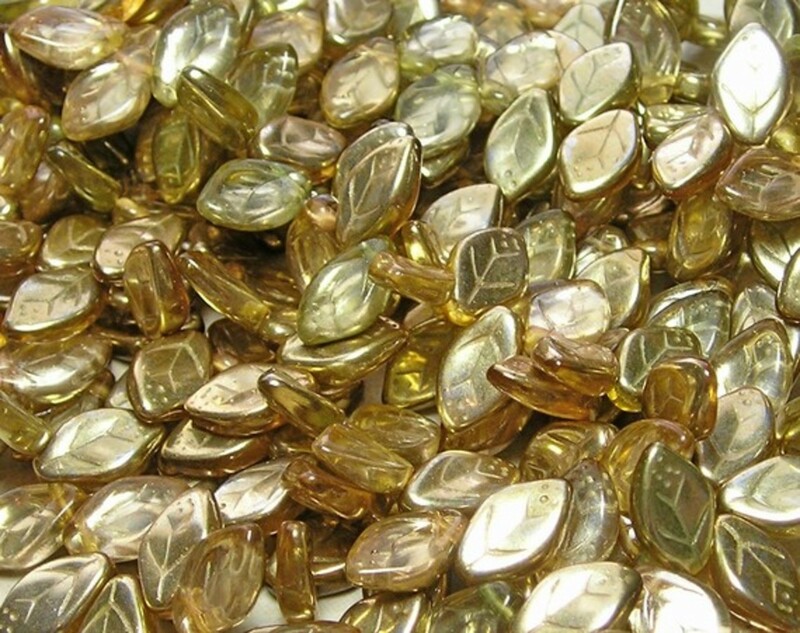 I found that many of my Czech glass beads did well as well as many of the Austrian crystal bicone beads. Any beads that are lamp work and have the bead release still in the hole do not do well. After the cabochons are cooled, I clean the kiln wash off the back of the cabs by scrubbing with soap and water. 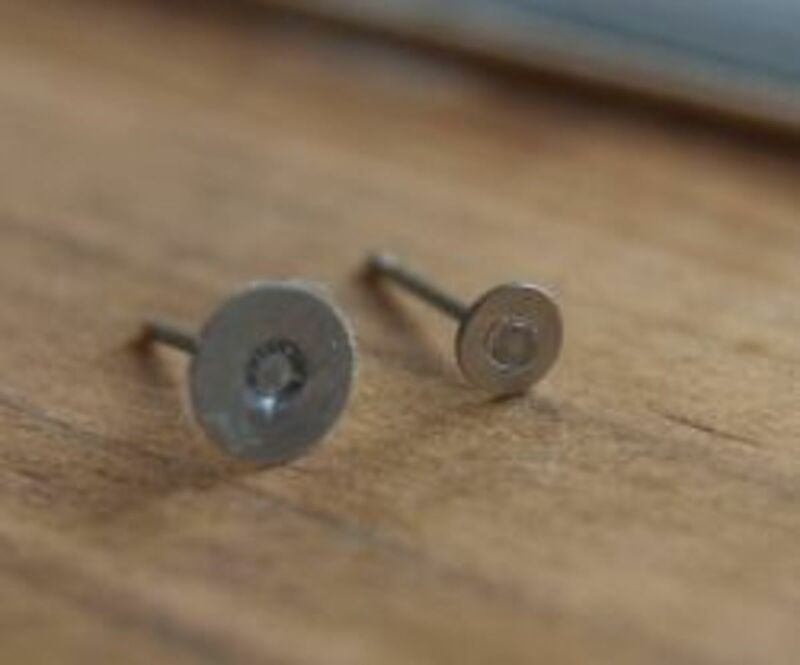 After I thoroughly dry the cabochons, I then glue surgical steel posts with pads on the backs of the cabochons using Loctite GO2 Glue and let them dry for 24 hours. I experimented with different glues and found Loctite GO2 Glue to be the best for holding the cabochons securely to the posts. I love the no-clog nozzle. Let Me Know that You Stopped by! Cool. 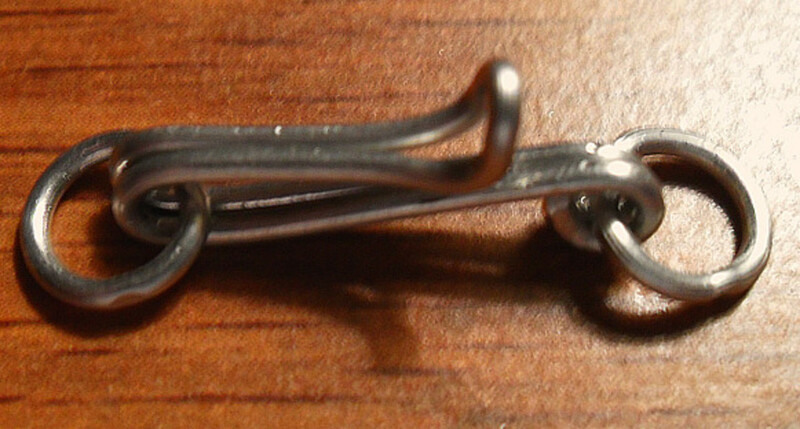 Wish I hadn't thrown out my old (Madonna type) jewelry; most of them were PVC and/or glass . Yet this gave me an idea of how I could have used them to create a piece of art. Wish I had a kiln. 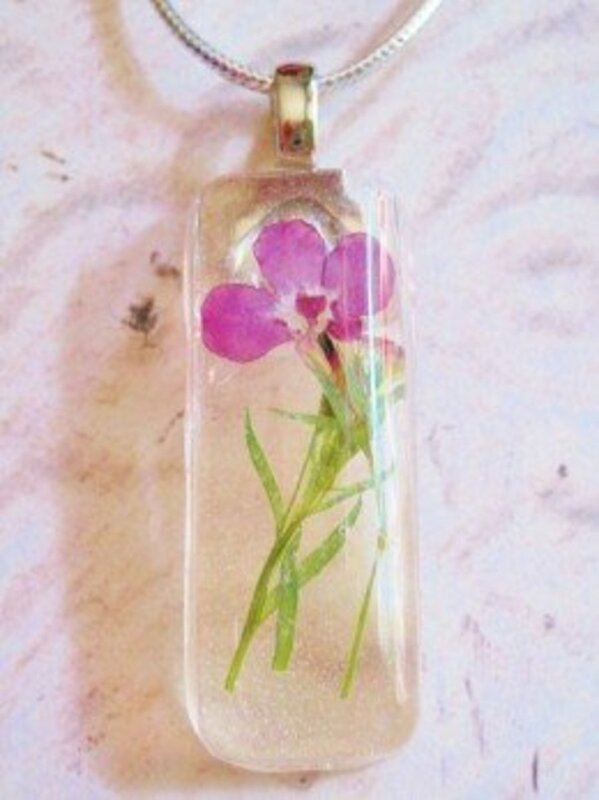 I've had the urge to get into jewelry-making and other recycled glass art. Thanks for a stimulating tutorial. Love your earrings. Very creative, outside the box craft idea... I love it! I wish I had the materials/tools to do it too. I wish I can try this but we are constantly travelling so it is difficult for me to do. What a fabulous idea! I can't wait to try this myself. Blessings! Fascinating craft and such lovely glass cabachons! Very neat. And very eco-friendly. I wish I were more crafty so I'd have the confidence to try something like this. Great instruction and idea. The glass is really beautiful. What a beautiful craft idea - thanks so much for sharing! Blessed by a SquidAngel! Probably not going to try this craft any time soon but the idea of melting down beads into some fascinating glass earrings is very cool! Great information on your kiln. I have a small one that I haven't used much. I thought I wanted to do copper enameling but I don't think I have the patience for all of the steps it takes. I love glass art especially recycled! I would love to buy a kiln someday! The process sounds quite scary! You are very clever and your beads are gorgeous. Pretty awesome my dear ... 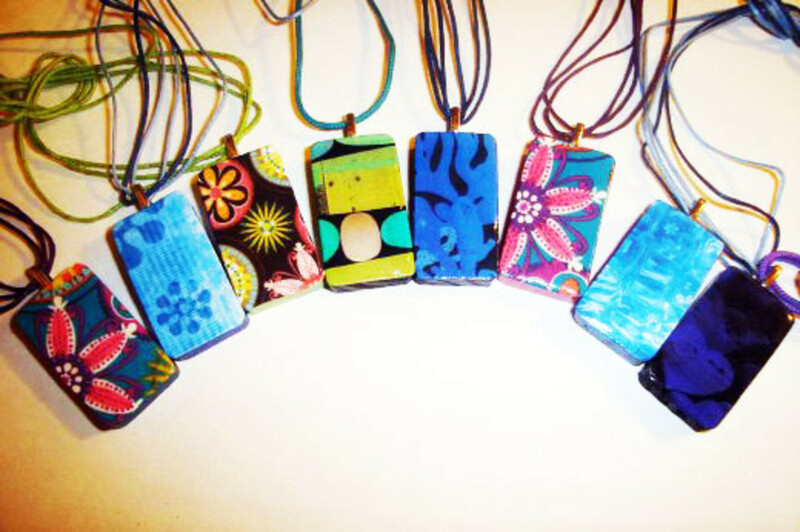 I so love art glass and art glass jewelry too! Interesting lens. Glass is a great medium for art.